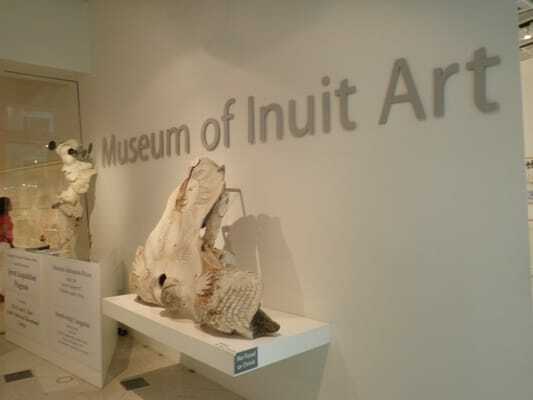 The Museum of Inuit Art, southern Canada's only public museum devoted exclusively to the display of art made by Inuit. THE former parent of hugely successful Uncle Chipps potato chips, Amrit Agro Industries Ltd, (AAIL) has exited its traditional snacks business. Following the sale of Uncle Chipps to Pepsico's snacks arm, Frito Lays - AAIL, the erstwhile Uncle Chipps Co. Ltd, has stopped production of its `Yumkeenz' brand of traditional namkeens, due to intense competition from the domestic unorganised snacks segment. The decision to exit the traditional snacks business comes almost a year after AAIL, or the then Uncle Chipps Co, had sold its immensely popular chips brand to Pepsi's snacks division, Frito Lays, in late 2000. Confirming the development Mr Ashwini Bajaj, Joint Managing Director, Amrit Banaspati Co. Ltd, told Business Line that Amrit Agro, an Amrit group company, had exited the traditional namkeens business earlier this year, due to the competitive unorganised sector. The capital-intensive snacks business was not yielding returns due to the unorganised sector which accounts for 90 per cent of the chips segment and about 75 per cent of the traditional snacks segment, he pointed out. "The snacks business was about Rs 3 crore, when we exited," he said. `Yumkeenz' comprised seven variants of snacks including Pudina aloo bhujia, Bikaner aloo bhujia, Masala aloo bhujia, Khatta meetha mixture, Moong dal, roasted peanut and Mungfali masala mazedar. Amrit Agro has its manufacturing unit for traditional snacks at Noida and Mr Bajaj pointed out that the company would sell its machinery and re-orient itself to get into the agro-procurement or processing business. "The company and personnel will remain with us and we will continue to be in the agro sector, only, we will redefine our activity. At present we are studying the prospects for the storage and transportation of fruits and vegetables and may be even simple processing." According to food-processing industry estimates, up to 40 per cent of fruits and vegetables are wasted in the country due to bad storage and treatment facilities. Was talking to my friend from India today and talking about how sad it is that 'Uncle Chips' no longer exists/in the form we remember. I remember going back to India after 4 years in 2008 and there was absolutely no trace of it! One of the biggest losses I've felt. Oddly, this snack held such a big portion of my childhood memories. Papri Chat was my favourite! Launched in 1992, Uncle Chipps was a pioneer in branded potato chips in India. The brand was acquired from Amrit Agro Ltd. in 2000 by Frito-Lay India. After the acquisition, the hugely popular brand has grown from strength to strength and has built a powerful connection with consumers. Uncle Chipps is warm, playful, lively, companionable and traditional at heart, just like the good-natured uncle everyone in the family relates to and no family gathering is complete without! Wash – the potatoes are thoroughly bathed in water. Peel – next, we gently peel the skin off the potatoes, even as the flavour remains intact. Slice – the potatoes are thinly sliced and rinsed again to remove any remaining starch. Cook – the slices are cooked to a crispy crunch in one of the healthiest oils one could have, rice bran oil. Season – finally, the chips are topped off with a mouthwatering sprinkle of salt or seasoning. The potatoes have now become delicious chips and are packed and delivered to a store near you. Uncle Chips was launched in 1992. Frito-Lay India took over Uncle Chipps in 2000. Pioneer in branded potato chips in India. Uncle Chips were India's first homegrown branded potato chips.In the 90s,it was the best munchies a mother could give to her child. Uncle chips's relevance in a kid's life was that of a jolly uncle who makes parties,family functions and long car drives bearable,if not fun-filled. Uncle Chips was acquired in 2000 by the multinational Frito-Lay India.Since then,Uncle chips has kept a low profile. Watched it on TCM the other day on TCM! Librarian Prudence Bell, reprimanded for allowing a student to read a classified book on love, quits her job to go to Italy in order to learn about love and romance herself. En route by ship, she meets Roberto Orlandi, a sophisticated Italian whose offers to teach her all she wants to know are rejected. 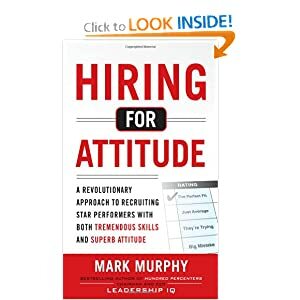 Arriving in Rome, Prudence finds a job in a bookstore and moves into a boardinghouse where American architecture student Don Porter is also staying. Lyda, Don's wealthy and spoiled girl friend, returns to the States, and he consoles himself by dating Prudence. They spend the August holidays together on a tour of Italy, and Prudence falls in love with Don. When they return to Rome, however, the glamorous Lyda is waiting to reclaim her man. Heartsick because she is still too inexperienced to compete, Prudence puts on her most alluring dress and visits Roberto, who declines her advances and advises her not to imitate Lyda. Prudence decides to return to the United States, and when her ship docks in New York, Don is there waiting for her. Scotia Plaza is a 69 storey, 275m high tower with a total area of 223,000 sq.m., a construction cost in excess of $200,000,000 and a structural cost of under $215.00 per sq.m. Its unique structural system, incorporating the best of concrete and structural steel qualities. The use of ultra high strength concrete. The use of silica fume concrete. The use of self-elevating concrete forms, for all vertical components. The transportation of concrete by pumping, from a site across the street, a distance of 70 metres. The investigation and restraint of lateral rock relief movement in deep foundations. The use of liquid nitrogen as a cooling agent for high strength concrete. The planning was an intensive process which extended over a number of years. One of the earlier schemes called for the demolition of the existing Bank of Nova Scotia Building and the building of a 64 storey tower in its place on the corner of this major intersection. Potential political delay, the cost of demolition, the pressure to maintain the existing Bank of Nova Scotia vaults in continuous operation and the square foot bonus for retention precluded this scheme. With the acceptance that the new tower would be located in the confined space east of the existing Bank of Nova Scotia Building, the design team produced a 64 storey tower. The structural engineers concluded from studies, that while an outrigged arrangement would be practical but at its limit as the wind resisting system, a perimeter tube structure should be considered because it offered more flexibility in layout and the potential for extra floors. The architectural team decided to integrate a tube expression in the architectural solution. Preliminary schedules showed small differences in costs and construction times, and the final selection of Scheme 2 at under $200.00/sq.m. was based on owner and architect preferences. In construction, typical floors did achieve the predicated 3 day cycle. The decision to employ the Concrete Tube and Concrete Core with Steel Framed Flores, meant introducing into Canada the high technology of self-elevating forms for the vertical components of the structure, and was a world first in two such operations on the same project. With the selection of the structural system, the maximum concrete strengths were set at 70 MPa which satisfied all structural and architectural requirements. After the award for the supply of concrete, an extensive testing and trial batching program was undertaken and the concrete supplier elected to proceed with silica fume mixes of his initial 100% slag based mix designs. The structure was constructed as designed and topped off at the end of 1987. The benefits of high-technology concrete with its cost advantages in lateral stiffness and vertical load-carrying capacity, in conjunction with the lightness and spanning abilities of structural steel, provided a unique solution. Successfully completed many projects of large scope, complexity, and have justified our designs through costs comparisons and peer reviews. State-of-the-art structural design software, hardware capacity to run the total design of a major structure, and the latest computer drafting technology and hardware. Extremely budget and time conscious, and considerate of the cost effects of structure on other disciplines. They have one of the best portfolios ~ how come I never knew about them? Most of their projects were with WZMH Architects.